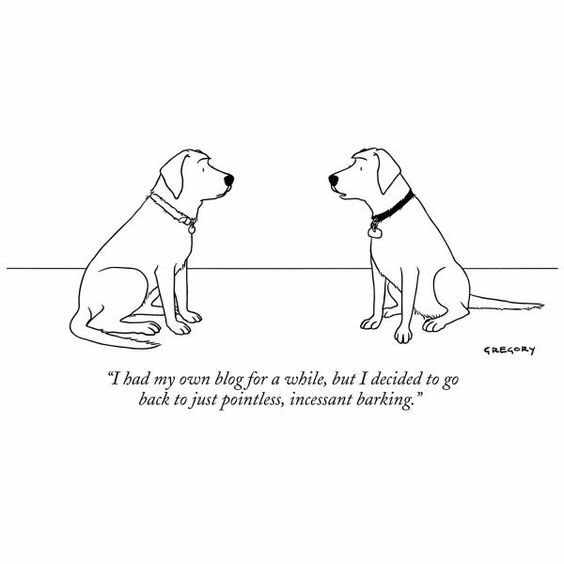 This website is a collection of writing—exploratory, philosophical and poetic—in the general areas of non-dual philosophy, psychology, spiritual culture, society, technology, and beyond…anything that interests me or I think is worth exploring. The project hopes to inspire readers, and possibly help them on their journey, by clearing the way: to be a friendly companion not just in this world, but point beyond the human mind, beyond conceptual understanding. To what? To that which encompasses both. What is that? Nothing: no thing. It’s an exploration into what is called “Consciousness”, the nature of reality, this Awakeness, this No-thing-ness, of Self-discovery… to the impersonal Love, Light and Life that we are. But I want you to discover this wonderful land for yourself… perhaps these writings and images can be hints of Truth, Beauty, and Love that serve as a launchpad into the vastness of space, the space On Beyond Zen. Buckle in and leave your concepts behind. Warning Light (beep, beep…): Enter this territory with Joy and Humor. Have fun. 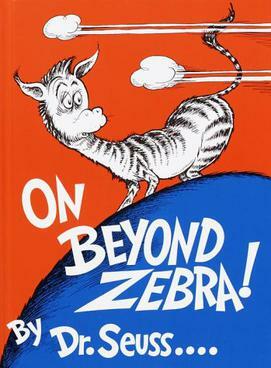 The name of this site, “On Beyond Zen”, came to me one day, as a play on two ideas: the delightful children’s book I learned to read from when I was 7 years old: “On Beyond Zebra” by Dr. Seuss (Theodor Geisel), and my interests in Zen and in Non-duality, which point beyond the inherently limited personal mind. The word “philosophy” originally meant “loving wisdom” (it had its origins in the Greek roots “philo-” and “sophia”). It has come to mean something very different in modern times. That is part of what this site is about: a journey of re-orienting us to a love of wisdom, and pointing out the “error of our ways” as it were (a necessary step). But more importunely, answering the questions, How to Live and How to be Happy and at Peace? How to go beyond normal human unhappiness (which is often largely unconscious) and the “human program”? Of course, wisdom isn’t really applied, it simply bears fruit, like a tree planted in good soil does. Wisdom is the substratum of our existence, what we are, if we can only uncover it. I was raised by an atheist father and a mother with ambivalent, hidden spiritual feelings, and lived in a diet of science (and science fiction). I was a total rationalist, interested in nature and how it worked, or taking things apart and building stuff like robot arms, and extremely naturally curious since I was a small child. As a young teen I wrote above my bedhead “All that exists are the atoms and the void. – Democritus” (he was an early Greek philosopher). This is an on-going journey of universal Self-uncovery (the eternal investigation). When I was re-writing this introduction, I tapped the words “journal of applied philosophy” in my phone, and the machine auto-corrected it to say “journey of applied philosophy”. This was an unusual case where I rather preferred the suggested mistaken correction. However I was still curious if there was an actual “Journal Of Applied Philosophy” out there (I assumed there probably was) and indeed that was the case. However, the “Journal of Applied Philosophy” – “…a peer-reviewed academic journal…on behalf of the Society for Applied Philosophy” instead of being about wisdom (happiness), “covers a broad spectrum of issues in all areas of applied philosophy, including work on the environment, medicine, science, engineering, policy, law, politics, economics, and education”. While all very interesting sounding, this was quite different than the meaning I intended, and is telling as far as the state of modern Western Philosophy. Why “applied” philosophy”? Because I discovered in studying philosophy at a high level in academia, that while it certainly helped in sharpening the tools of conceptual analysis, and in “critical thinking”, no real or good pointers to true wisdom seemed to be found within it (or were so rare or so discounted as to be drowned out in the “noise”). Indeed, it was only a massive intuition after years and years of pursuing the question of “what is intelligence, or mind?” that led beyond the academic merry-go-round of circular thinking towards the true nature of intelligence and what we are as infinite, eternal beings capable of boundless creativity, love and happiness. It was a taste of the true innate freedom that we are. I found in getting a broad and deep taste of Western philosophy, including pursuing my own curriculum outside the assigned materials (most of the reading and writing I did! ), that it did very little in helping with life beyond academia (or even within in it), in a satisfying way. We academic units – students and professor – were supposed to be more like cogs in a giant machine, serving the institutions and their egoic modalities, the state, technology (as if they were ends in themselves), and/or corporate interests, building up our individual competitive egos in the process, trying to “win” (a career) and hate and fear (very unhealthy mentally and physically). Freedom was never talked about, except in political debates, fights. In other words, the activities did not seem to apply to issues such as the questions, how to live (as a free being), how to find love, how to be happy, or what is happiness, what is life, or more essentially, what am I? (beyond the brain answer). In fact it felt like a very technical pursuit in many ways (which I now understand is a reflection of modern philosophy’s view of humanity as essentially biological robotic objects, spit out accidentally by competitive evolution, and which may or may not have what they call “consciousness”). Even such basic practical living questions such how to make good decisions, how to find a fitting livelihood, how to find a mate or a date, or finding one’s purpose in life, or what the reality or meaning of death and life are, were addressed obliquely, or only in an introductory undergrad philosophy class on the “relevance of philosophy” and the “big questions”, to get students interested, or are merely part of abstract arguments in a section of an ethics class debate. Sometimes these were relegated to literature or psychology, or referred to a representative of some kind of psychotherapy, or religion, or more often learned “on the street”, if you were very lucky. Sometimes the lessons were negative, sometimes positive, but nothing I would call “solid” or truly satisfying to the inner being for any length of time. It was all about questions and not answers. After my intuitive “revelation” about what was going on with the human mind (I cover in other articles), I eventually left the philosophy studies and threw myself into visual art (and some Zen Buddhism studies and practices at Zen Center San Diego and on my own). As I see it, doing art, living as an artist, and being a channel for beauty, is a better model for how to live than a philosopher trying to put reality into a language cage via an ego-driven academic game (whose seeking is based on lack and fear). Indeed, Western philosophy, or shall we say Western academic philosophy, over the last couple of hundred years or so, post-European Enlightenment, ever since it felt a need to answer to the rise of a science (and seeing the writing on the wall with regard to the demise or at least changing role of religion), has preoccupied itself with the tasks of self-justification, clarification of issues, conceptual analysis of concepts, analysis of language, mechanics of thinking, or a refinement and defense of the underlying atheistic, scientific materialist religion. The underlying assumption is that all knowledge is indirect (partly thanks to the legacy of Immanuel Kant) via “representations” (a fancy word for concepts and models). The basic message is: don’t trust your true self (it doesn’t exist), and reality is completely unknowable with the human mind-ego, which is all we have but don’t know what it is except a piece of meat. It’s a depressing picture. A broader view going back to the Greeks such as Plato, sees a discipline largely concerned with claims about reality, consciousness (which is conflated with the local mind), man and society, the mechanics of mind and thinking, the mechanics of the external universe, and the various metaphysical issues therein, which often seem more applicable to answering to other philosophers, and to the world of politics, social policy analysis, or academic survival than how an individual can find happiness and peace. The pre-Socratic Greeks however show impressive hints at being more attuned to the “how to live” question and to the very essence of wisdom teachings, with such luminaries as Parmenides and Heraclitus. A modern student of philosophy, who finds themselves deeply depressed and lost in life, will not be pointed to a philosophy professor or philosophical teaching, but to a psychotherapist in the student counseling services – a therapist trained in a field with an extremely low success rate in taking anyone to a level of happiness beyond “coping” or “functional” physio-social adaptive living in the status-quo assumptive reality. They lead them right back into strengthening and adapting the ego to the status quo. Applied, clinical, and theoretical psychology are in as much of a mess as modern philosophy. Not only is there no unifying theory, but they have both completely lost their “soul”: that we must search for language to even express what has been lost and how they are lost, is a statement in itself.